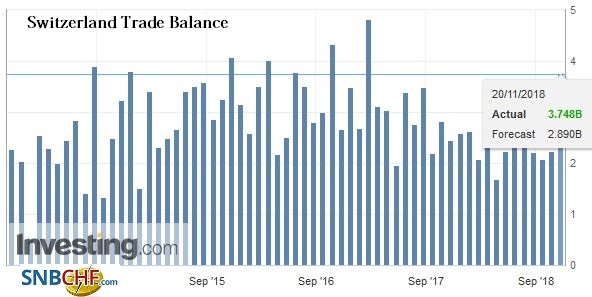 In October 2018, seasonally adjusted exports grew 6.0%, after their slightly negative evolution since June. They thus reach a level monthly record. Conversely, the decline in imports continued (-1.8%). The balance commercial loop with a surplus of 2.6 billion francs. After having recorded a slight negative trend in previous months, seasonally adjusted exports jumped 6.0% (real: + 6.3%) in October 2018. They thus amounted to 18.9 billion francs, establishing a record monthly level. Imports fell 1.8% (real: -3.6%), continuing the negative trend that began in mid-2018. The surplus in the trade balance reached 2637 million francs. Chemicals and pharmaceuticals accounted for almost 90% (or 937 million francs) of export growth. While the three pharma segments saw their turnover increase by between 15% and 30%, drugs weighed heavily in nominal terms, with a rise of 778 million francs. Note that the brilliant result of October follows three consecutive monthly sharp declines. Watch sales rose 4.2%, but showed a slightly negative trend since July. Precision instruments as well as the machinery and electronics sector stagnated. While the former remain despite their bullish wave of the previous six months, the machinery and electronics sector has been stalled since July. Among the top three markets, Europe (+ 7.6%) and Asia (+ 3.0%) shone while North America (-0.5%) stagnated. After falling in previous months, exports to Europe increased by 774 million francs. This growth was based mainly on the Netherlands (pharma, +217 million francs) and Ireland (+204 million). The Asian rise has relied on many countries. After two negative months, sales to China picked up again (+ 7.0%); to raise also the progress of Saudi Arabia and Singapore. 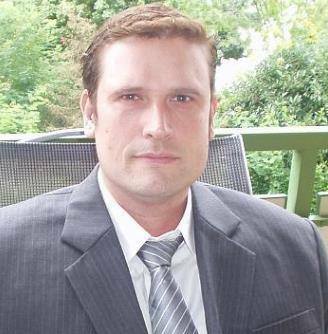 For North America, the stagnation experienced since the beginning of the year continued. 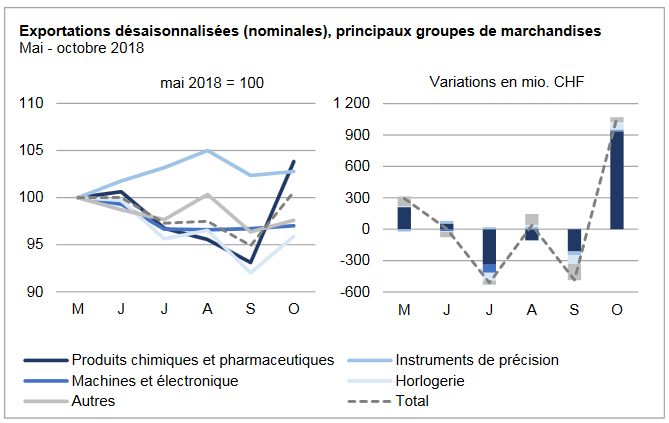 The decline in imports was mainly due to the plunging of chemical and pharmaceutical products (- 455 million francs) and more particularly the active ingredients. For the period May to October 2018, the pharmaceutical segment showed a highly disparate and flat trend. 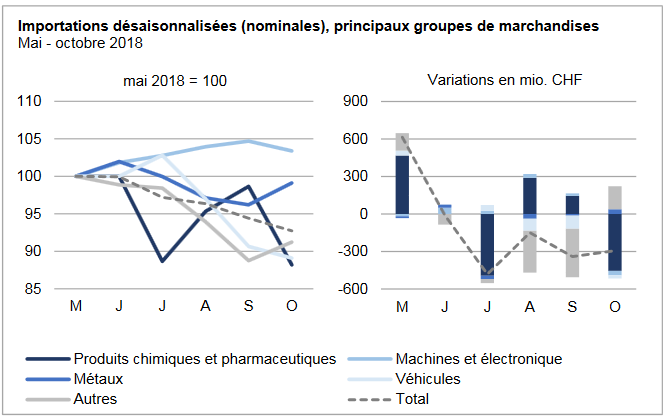 Despite a contraction of 35 million francs, the machinery and electronics sector remains on a positive trend. For the first time since June, shipments of metals increased (+39 million). In the other goods group, jewelery and jewelery entries gained ground (+80 million) but remained one-third lower than their record level set in May 2018. 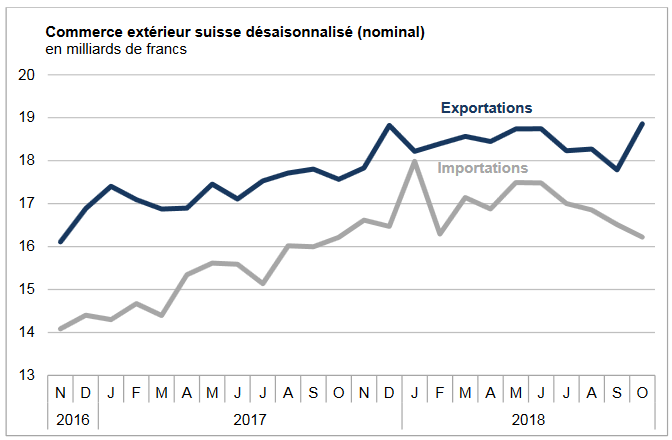 Imports from Europe stagnated over a month while those from Asia and North America fell by 1.6% (-52 million francs) and 10.3% (-132 million francs), respectively. On the North American side, Canada has for several months been witnessing a disparate evolution due to irregular delivery of aircraft. In Asia, the contraction of the United Arab Emirates (-405 million francs, jewelery) contrasted with the rise in China (+136 million) and Japan (+88 million). Overall, imports from Europe show a downward trend: they stagnated in October after three months of decline. Ireland once again showed volatility (-372 million), while France rose by two-fifths (+203 million) and Austria by 89 million francs. Next Does the Market Need a Heimlich Maneuver?